SpecialEd Solutions, Inc. and SpecialEd.com are proud to offer the Noisy Box (sensory stimulation room), Noisy Board (resonance board) and related Accessories to V.I. Teachers (Teachers of the Visually Impaired), Special Education Teachers, occupational therapists, and parents for use under the active learning concept with children who are blind, deaf-blind or have visual and/or multiple impairments. Help your visually-impaired or deaf-blind child/student to develop the fundamental skills of object permanence, cause and effect, memory, and spatial relations with a systematic curriculum of sensory stimulation using our Noisy Box and Noisy Board. Click here to browse our online catalog of sensory stimulation products or proceed directly to the interactive order form worksheet to place your order or to prepare your purchase order requisition for your organization's purchasing department. We also offer products for the Orientation and Mobility Instructor. Browse our selection of Pre-Canes for use in training blind children to use a long cane or for long-term use by children whose cognitive development precludes them from using a long cane. We accept purchase orders from any public school, school district, or co-op. We also accept paper checks, online checks, VISA, and MasterCard. 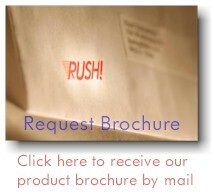 To receive a brochure of our sensory stimulation products, click here.